I have two great news to share with you all!!! Let's start with the crafty one....I'm super excited about it !!! You can check it in details HERE. It was so hard keep this news to myself...I'm so happy to finally let you all know about it!! 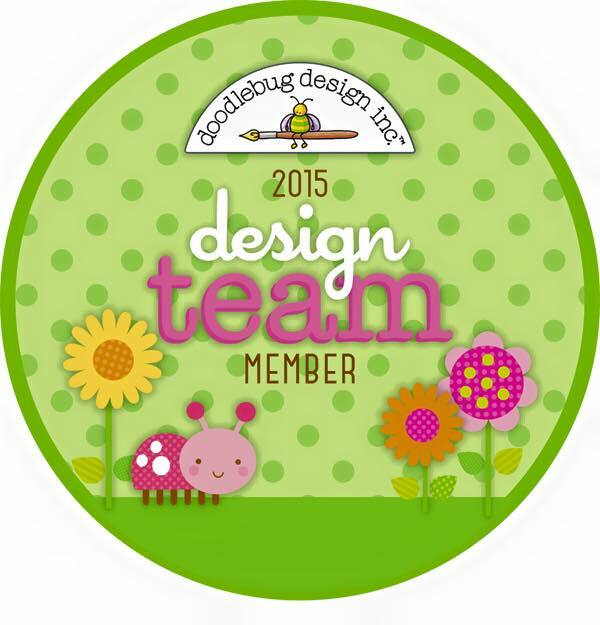 Tanya & Brooke -- the Editors of CardMaker Magazine asked me to be a part of their CardMaker Blog Team!!!! YAY!!!! I'm so honored that they thought of me !!!! 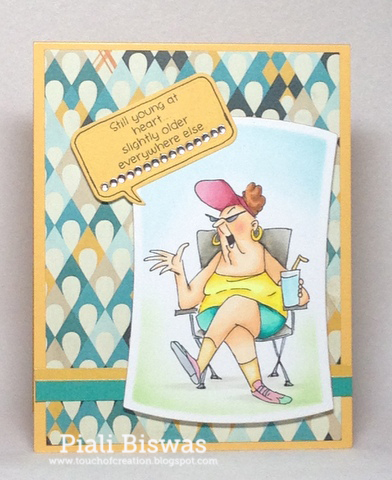 Now I'm the Card Maker Blog Team member for next six months. I hope you all will stop by the CM Blog to check out the new amazing Design team members and in future all our fabulous inspiration posts and hops!!!! We have a new furbaby in our home.... KOKO!!! 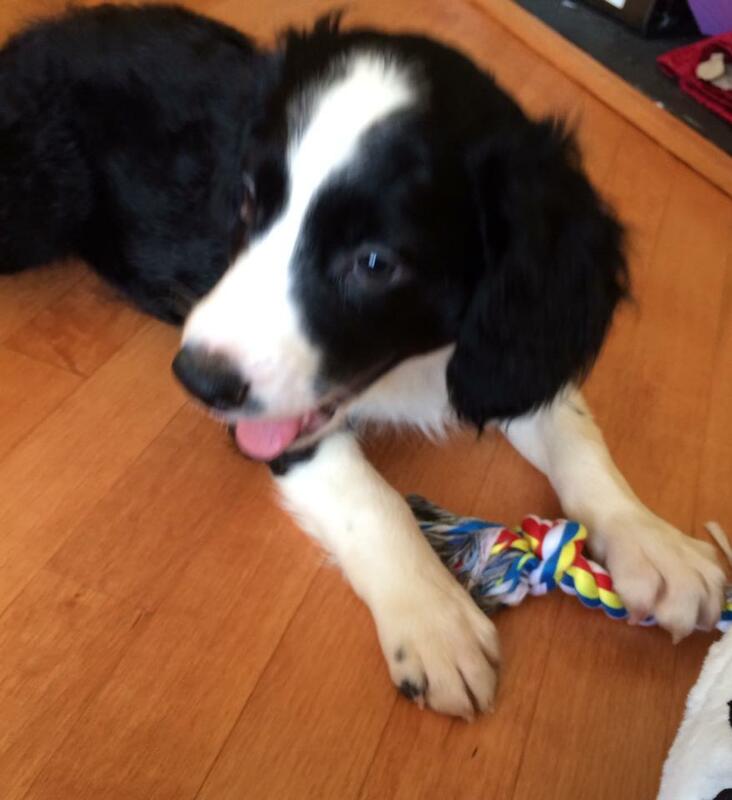 He is a 3 month old Cocker- Collie puppy. 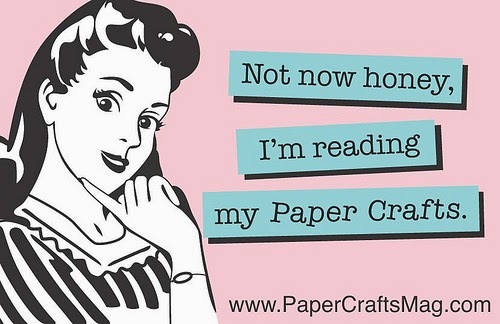 I promise to sneak out to my crafty table whenever I can and share some of my work with you all!!! I'm still here...slowly recovering after surgery. By next week I should back to my normal schedule. I just got the cutest package from Mama Elephant Stamps , so quickly whipped up a sweet card. Please ignore the bad photography, I really can't go up & down stairs much and there is not great lighting in my room. In My Heart set is super cute!!! The set comes with different sentiments but I wanted to make cute baby girl card so I used the banner and the sentiment from Lawn Fawn stamps. A CAS card with a bit of Gelato wash background! Sisterhood of Crafters - Monochromatic. 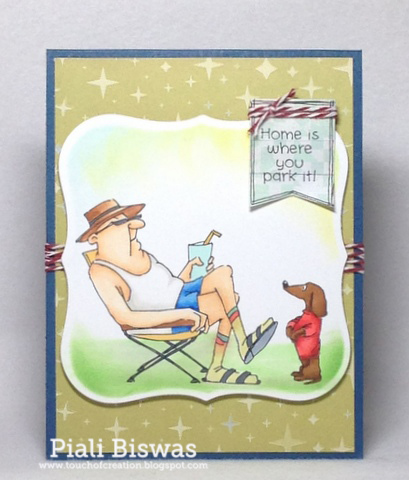 I have two more cards in-progress using this stamp set, I'll be back later to share with you all. Ai at Michaels blog hop!!!! Today we're celebrating the launch of Ai stamps at Michaels!!! Yes!! 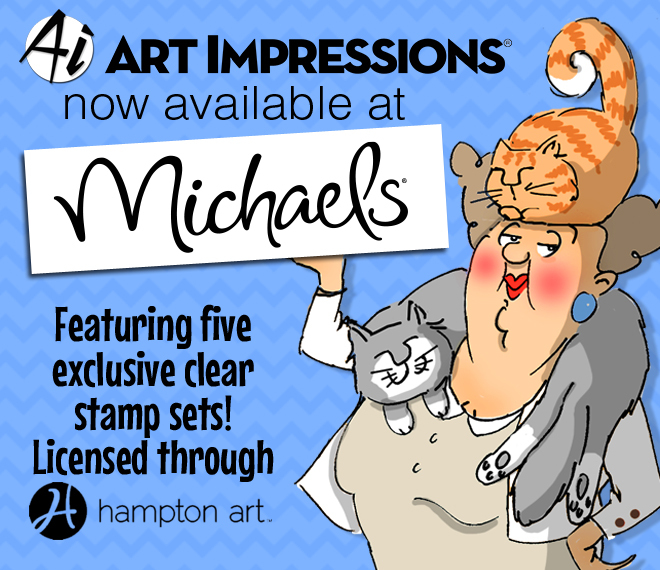 Its true...now the super fun Art Impressions Stamps are available now at your local Michaels store!!! Take a peek at these 5 new sets!!! Now I'll share my cards with you all. WARNING: A Photo Heavy post. 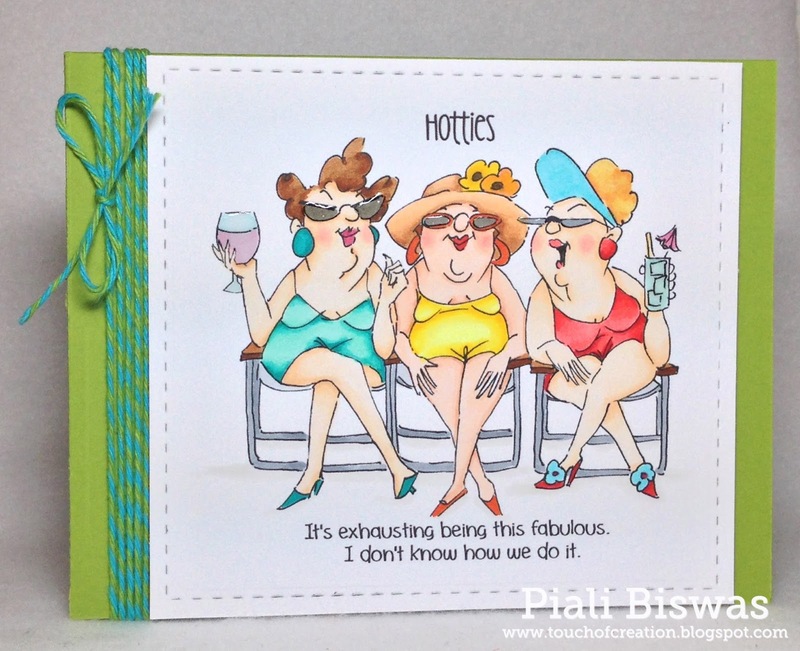 First comes the "Hotties"....how fun is this image!!! Love the sentiment too!!! Hahah!!! 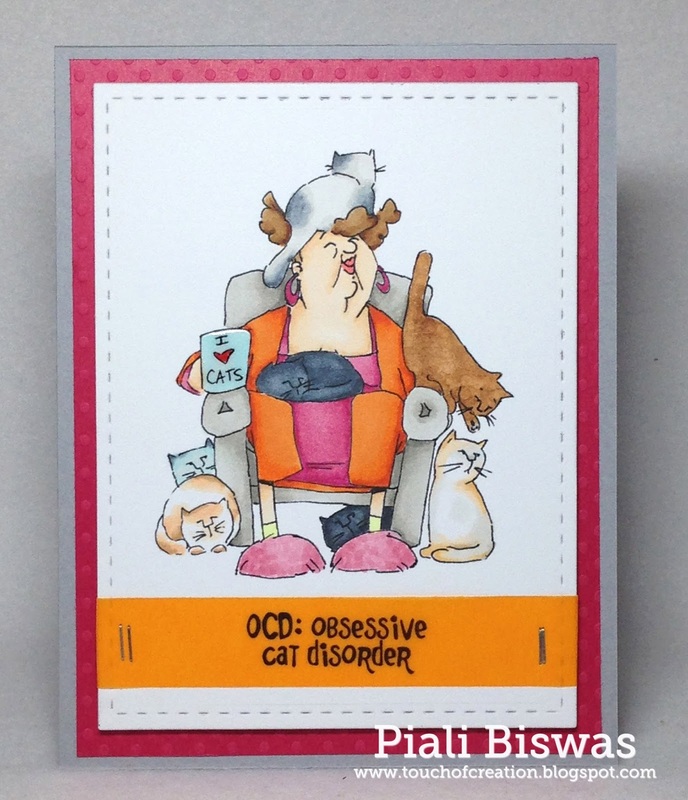 OCD- Obsessive Cat Disorder...totally cracks me up!!! What do you think of her??? Cute isn't it??? Another fabulous image with super fun sentiment.. 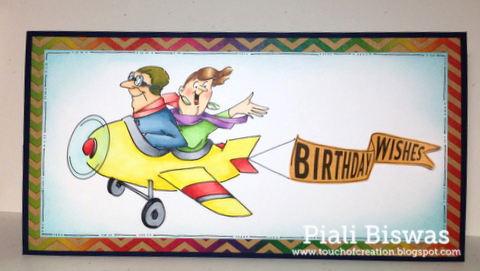 Here is a fun Birthday card...the birthday banner can be used by itself. This image can be used for moving, Bon Voyage and couples card too. The sentiment is sooooo true!! I ♥♥♥ these sets...they are just simply fabulous. Last but not the least...we've the handsome Dude and his cute pup!! I used Copics to color all my images!!! Here is the hop list.. 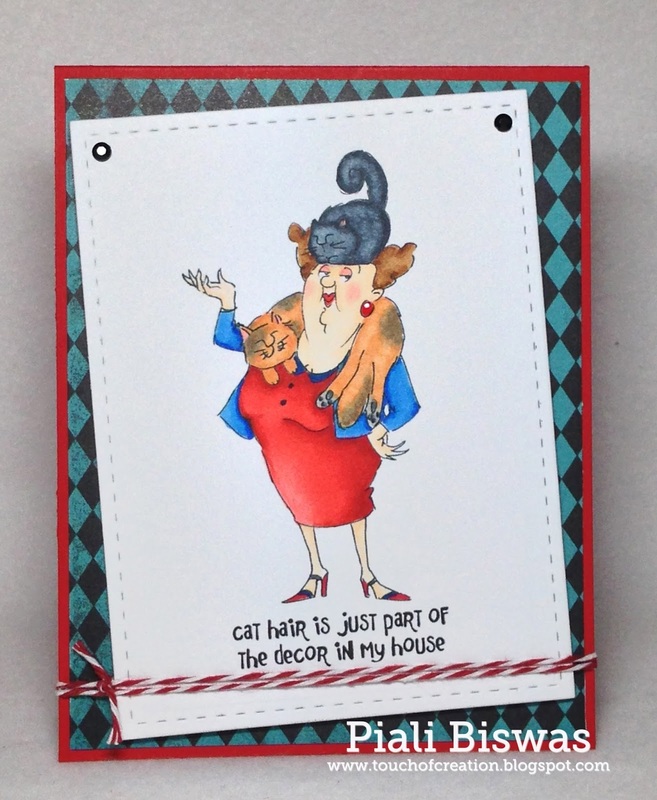 Hop over to Art Impressions Blog for all the details!!! Next stop is... Cynthia Olheiser. Hello & Happy Sunday Everyone!!! 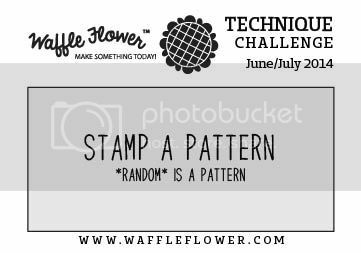 Welcome to the Waffle Flower Challenge for June/July 2014! We have two categories for this challenge and you can enter as many times as you want from June 15th to July 25th. Add your link(s) to the Link-up Tool below. Remember to include a link to this post in your post (on your blog) or in the description of your photo (in an online gallery). Use at least one of Waffle Flower Crafts products on each entry. List the product name in your blog post. 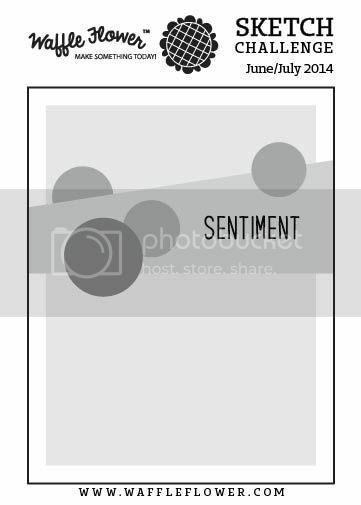 If you use an online gallery (Flickr for example), list the name in the description. This is especially important when you used a product in a clever way that might not be obvious to people. Our team will be looking for them but please help make it easier for them. Enter as many times as you want. If you have a blog, please include the graphic of the category you are entering in and link to the challenge post. This is to help your readers and crafty friends to find us and join the fun! Combine up to 3 other challenges if you want. We look forward to seeing what wonderful projects you will create with your own unique formulas. The Waffle Flower Challenge Team will vote for a winner in each category. The two winners will receive a stamp set of their choice and join our team for the next challenge. 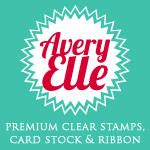 We will also draw a random winner to receive a stamp set of their choice. Now the challenge themes... we've a Sketch Challenge and a Technique challenge. Here is my take on sketch challenge. I used Flower Circles and Bowtiful Stamp sets for this card. Love the Flower Circles stamp set...super fun set , can be used all year long for all occasions. This sketch is amazing...I'll using it later for other cards too. The DP is from Plus One collection. Do you see the teeny tiny heart ...I used WFC- Tiny Heart die for it. Sweet Stampin - Say it with Flowers. Loooove this heart stamp...its from the Surface Tag Set. For the sentiment I combined two stamps from Bowtiful and Flower Circles sets. I also used 3 Tiny Heart diecuts as embellishments. 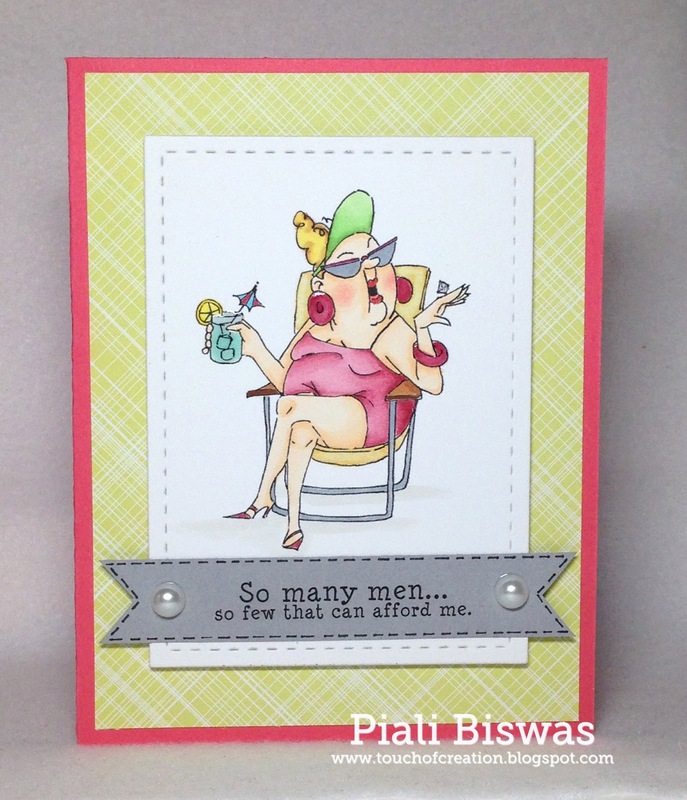 As CAS card with lovely stamped background. Lexi's Creations - For a friend. Hope you all will play along with us....can't wait to see your take on this challenge. For more details and lovely DT inspirations visit WFC Blog. New Challenge and Happy News!!!! Love Nina's designs and Waffle Flower Crafts Products are just amazing!!! WAFFLE FLOWER CHALLENGE is starting starting this Sunday, June 15th! We will have two categories for each challenge. Pick a category or combine both to create a NEW project. We welcome all project types and crafters at all levels to join us. We will draw a random winner to receive a prize and will vote for two winners to guest design for us in a future challenge. Use at least one of Waffle Flower Crafts products on each entry. Combine up to 3 other challenges if you want. We look forward to seeing what wonderful projects you will create with your own unique formulas. Hope that you will find time to join us! See you back on the 15th! If you are new to Waffle Flower Crafts stamps and Dies...you can check them out HERE. I'm super excited about THIS challenge...hope you will play along too!! 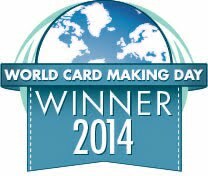 Can't wait to share my cards with you all...check back on Sunday. The stamp are from the new release.....love these cute critters!!! Flying Owl is RUBY and the cute bear is JOHNNY. I colored the images with Copics. For the sentiment I mixed stamp and die cuts. The "Hello" stamp is from POD-Script Hello Set. The die is from Paper Smooches. Through The Craft Room Door: Anything goes. Pile It On - Use patterned papers. Thank you Everyone for your lovely comments and well wishes!! Its means a lot to me!! Love you all!! Its time to announce to the winners of the Giveaway!!! Congrats Ladies!!! Please email me at piali(dot)biswas yahoo.com.